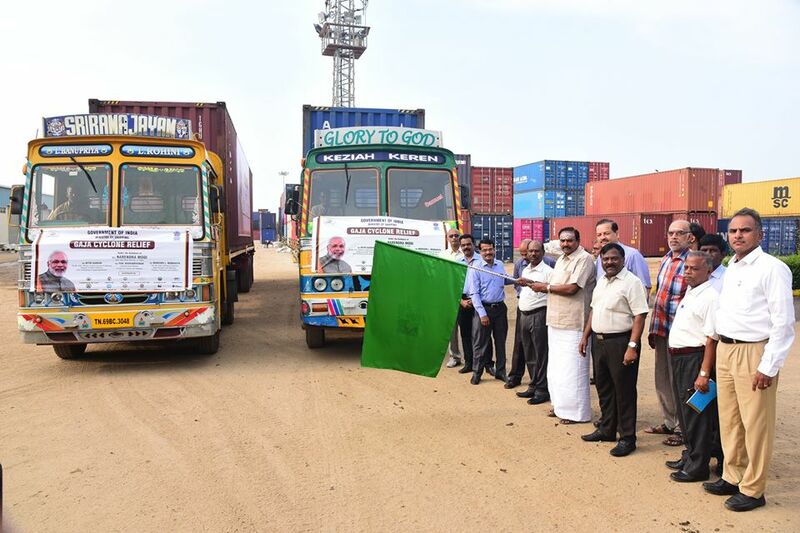 On behalf of the 12 Major Ports of India, the first set of Relief materials to the Gaja Cyclone affected places Thiruvarur, Thanjavur, Nagapattinam and Pudukottai (in Tamil Nadu state) were flagged off from Tuticorin by Shri A.N.Raja Kannan, Trustee, V.O.Chidambaranar Port Trust and Shri N. Vaiyapuri, Deputy Chairman, V.O. 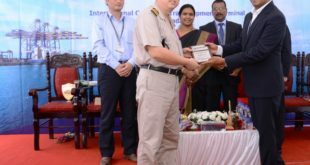 Chidambaranar Port Trust, in the presence of Shri J. David Raja, President, National Association of Container Freight Station, St. John Freight Systems Pvt.,Ltd., Shri U. Rajendran, Traffic Manager, Capt. Bhabadosh Chand, Deputy Conservator, V. Suresh Babu, Chief Mechanical Engineer and other Senior officers of the Port on 22 November 2018. About 30,000 bags containing Bed Sheet, Towel, Rice Pack, Dal, Biscuit Pack, Plastic Mat, Match Box, Candle, Mosquito Coil, Mosquito Net, Milk Powder and Drinking Water bottle has been arranged to be sent to Thiruvarur, Thanjavur, Nagapattinam and Pudukottai. The total value of the above relief materials is Rs 3.5 crores. On behalf of 12 major ports — V.O. 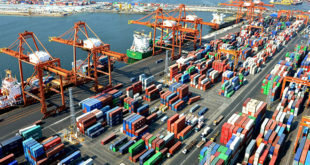 Chidambaranar Port Trust, Tuticorin, Cochin Port Trust, New Mangalore Port Trust, Chennai Port Trust, Kamarajar Port Limited, Chennai, Mormugao Port Trust, Jawaharlal Nehru Port Trust, Mumbai Port Trust, Paradip Port Trust, Visakhapatnam Port Trust, Deendayal Port Trust, Kandla, Kolkata Port Trust and Haldia Dock Complex — V.O. Chidambaranar Port Trust, Tuticorin is coordinating to send the Cyclone relief materials by road. M/s. St. John Freight Ltd., ICD – Division, Tuticorin had voluntarily taken the responsibility of packing and loading the relief items into the trucks. M/s. 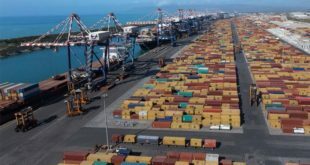 Sree Garuda Shipping Line, Tuticorin has taken the role of providing 12 number of 40 foot high cube containers to transit the relief items. M/s. Diamond Shipping Agencies, Tuticorin, M/s. Villavarayer & Sons, Tuticorin , M/s. Hari & Co., Tuticorin, M/s. PSTS, Tuticorin , M/s. Raja Agencies, Tuticorin, Thoothukudi Lorry owners Association, Thoothukudi District Container Truck Owners’ Association and Thoothukudi Suttuvattara All Regional Lorry Association have voluntarily come forward to provide the required trucks to transit the Containers with relief materials. It is pertinent that five cranes and ten numbers of power saw machines with manpower were sent to the cyclone affected areas on 20 November 2018. In addition, Port has also arranged to send 1000 numbers of Tarpaulin which values around 11 Lakhs on 21 November 2018. As per the directions of Shri Narendra Modi, Prime Minister of India, the Ministry of Shipping under the abled aegis of Shri Nitin Gadkari, Union Minister for Road Transport & Highways, Shipping and Water Resources, River Development & Ganga Rejuvenation, Shri Pon Radhakrishnan, Union Minister of State for Finance and Shipping, Shri Mansukh Laxmanbhai Mandaviya, Union Minister of State for Road Transport & Highways, Shipping, Chemicals and Fertilizers have issued orders to arrange for relief Materials to the Gaja Cyclone affected places of Thiruvarur, Thanjavur, Nagapattinam and Pudukottai. 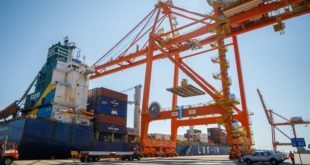 Head of the Departments, Officers and Staff of the Port and Port users participated in the humble programme.